Take your life to the next level with scientifically proven memory techniques! Whether you are eight or 80 years old, you have the ability to build a "superhuman" memory and unlock amazing abilities! You can rapidly unleash your full human potential by building a remarkable memory. 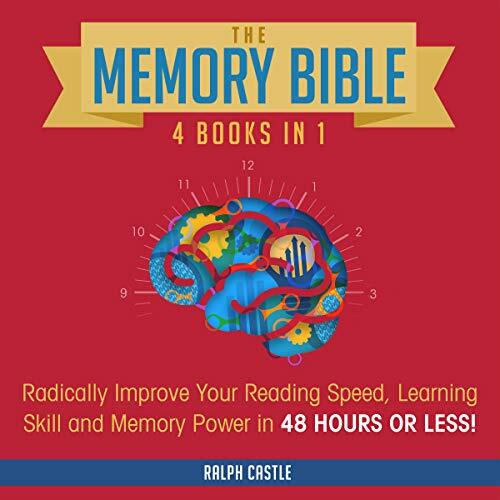 Introducing The Memory Bible: 4 Books in 1 - Radically Improve Your Reading Speed, Learning Skill and Memory Power in 48 Hours or Less! With the potent strategies and techniques contained within this guide, you'll learn to instantly recall anything you want! Speed Reading: Advanced Strategies to Read Faster for Accelerated Learning in 12 Hours or Less! Speed Reading: Read 3X Faster and Improve Your Memory in 12 Hours or Less! Memory: Unleash Your Brain Power with Industry Leading Memory Techniques for Speed Reading and Accelerated Learning in 12 Hours or Less! Accelerated Learning: Learn Faster & Improve Your Memory Using the World’s Most Advanced Techniques in 12 Hours or Less! Optimize your mind, your brain, and your life. Scientifically proven techniques to instantly enhance your memory. Surefire methods for developing a "bulletproof" photographic memory. Surprising techniques that will boost your learning to extraordinary heights! Powerful techniques to remember virtually everything! It doesn't matter whether you are an astrophysicist or never completed high school, whether you failed geometry or aced trigonometry...these methods work as long as you are willing to use them. Everyone has a hidden genius inside of them - it's simply a matter of learning and applying the principles and techniques that allow you to maximize your brilliance! 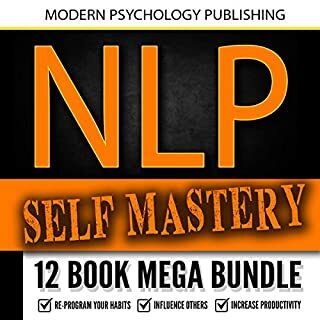 This breakthrough guide is a step-by-step blueprint to harnessing your true potential and quickly acquiring exciting new skills that take the “average” person weeks or years to master. Ready to experience an exceptional quality of life filled with boundless opportunity and fulfillment? Download your copy of this revolutionary guide and get started today! I am using a few of the techniques. Highly recommend for any individual starting high school and beyond. This book describes amazingly simple methods to improve mental agility through focusing on memory. It teaches in a fun, interesting way using pictures and stories. The methods are easy to absorb and each section has short exercises that enable you to immediately practice what you've just learnt and experience the power of the method for yourself. This is a great book. Of course you need to spend a lot of time with it and change the way you think about things and change the was you see things. Everything loses it meaning and becomes mere data. But it may be worth it. Applying it is difficult because it goes against the grain of our thoughts. I wish it could have deal with this aspect of the problem. 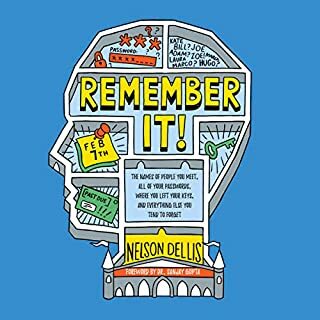 This book teaches some of the time-tested memory strategies. Memory is a "skill" that can be improved with practice. The strategies and techniques truly do work. I have this book in both Kindle and hard copy formats. It's THAT good. I am very pleased with the excellent product and the effort and care taken in packing to prevent the product from being crushed and damaged. The product is as described. From time to time during my entire adult life I have turned to this book for refreshing all that I have learned and get new inspiration to go on the next project, or face a new challenge. No matter how many times I lost this book I always got a new one because no-one can be more helpful when it comes to memory than Harry Lorayne. Everyone should listen to it. Thank you. So far I been remembering names and faces all of them been stored, now I'm working on everything else did the examples they all work did some simple try outs got them. 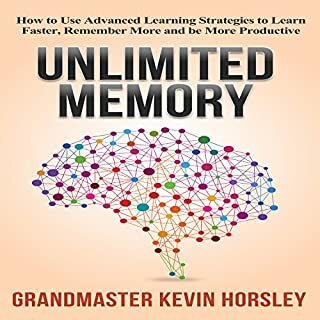 This is an excellent book with so many effective, fun, and creative techniques to improving memorization of a huge variety of different types of information. This book has allowed me to memorize huge lists of items, long strings of random numbers, thousands of vocabulary words and definitions, and foreign language rules and vocabulary. I strongly recommend this book for anyone who is looking for effective, FUN techniques to improve memory! The writing is casual, and the book is an enjoyable read! This is one of my all-time favorite books. Memorization may be passe for some, but for me, it has proven to be a powerful ally. 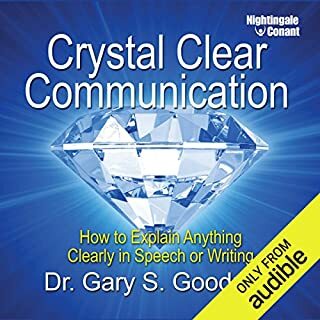 I bought this audiobook for the first time when I was in college and it made every course easier and more rewarding. It was more than worth the price. Unfortunately, I forgot where I left the original book so I had to buy this audible edition as a gift for my daughter. Helpful book that provides history of memory training and many useful techniques to use. 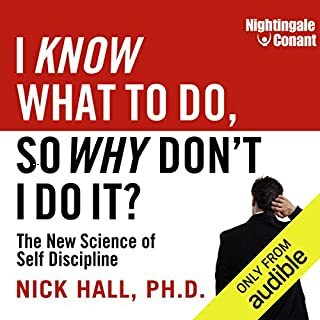 Not a cerebral approach but rather a fun and helpful read. I think this book really can have a tremendously positive effect on life, if one is disciplined enough to learn and practice its methods. Now I am going to reread it and summarize it, adapt the examples to Spanish (my native language), and I am sure it will be useful for me, because these methods, which Horsley explains and summarizes so well, are not new, are widely known and used. But the merit of this book is that compiles them neatly, explains them very well and always maintaining a high motivation. The strategies suggested in this book do work and come in handy, both at home and at work. They are especially helpful for children to help them improve their learning, resulting in better grades. The book enables you to put the principles into practice as you read and shows you just how easy it is to remember lists, numbers, quotes, etc of any given size. One recommendation to the author: include more practice material in the book so that the reader can fine tune these memory skills in a structured way. Or better yet, develop an app with such capabilities. Again, loved the book and am looking forward to putting it to use. I've only delved into selected portions so far, but WOW! This guy delivers the goods in the most distilled form possible. Memory super-power, here I come! From the moment I read any section, I am already beginning to apply it. Understanding a thing or two about self-directed neuroplasticity (based on other resources and personal application), the most effective methods take advantage of the way the brain already naturally works. Ralph's work fits exactly in this category, which is one reason it is so effective. It is an excellent augment to other super-powers I have already developed. I am looking forward to hearing additional unsolicited comments by those who know me best of how "miraculous" the additional changes in my life have become, once I dig more deeply into this essential work. The memory book is a time-tested guide to recalling numbers and facts. Studying and practicing the techniques within this book will provide the reader with a lifetime toolbox for success in all walks of life. For anyone who has ever experienced the frustration of forgetting facts and figures, of where he or she put his or her keys or remembering that important date - this book is for you. I have a tough time studying. I’m a A student, however I have ADHD. This book was absolutely great for simple memorizing tips. Which seem elementary, until you realize how important it is to remember lists in different parts of your life. This book is awesome. 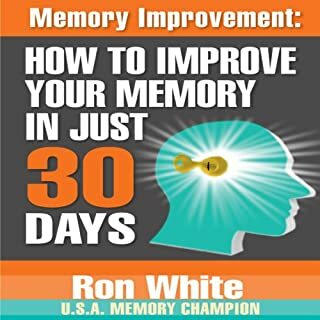 Great common sense book that really does seem to help with memory issues. Recommended to me by the Lead Psychologist in a well known hospital. He said it was really the only book out there that was actually helpful. I found this to be the most complete memory system you can find. I'm gonna re-read it so that I can memorize the contents using what the book teaches to be able to have the information at my disposal anytime I want. An easy listen to teach you how to remember anything. Even if you don't end up using the tricks, it's still interesting to know how people do it. This book was just what I was looking for. ANYONE WHO IS LOOKING TO IMPROVE THEIR MEMORY should get their hands on this wonderful guide. Unlike other "memory" books I have viewed; Memory Book by Ralph Castle is so comprehensive and actually improve your memory. They go over MANY techniques which include helpful examples and ways you can apply the methods to other things. Overall, I would've gave this book a ten-star rating. In medical school right now and the concepts in this book work (peg, link, substitute word), and get better the more you use them! Thank you so much Mr. Ralph! If you plan to learn a language, improve you name memory or to remember a grossery list this book is for you! I have to learn a new language at the moment and this book really helped me remember new words easily and not forget then the next day! It's simple and I guarantee you will not regret reading this book! This book teaches some of the time-tested memory strategies. Memory is a "skill" that can be improved with practice. The strategies and techniques truly do work. I have this book in both Kindle and hard copy formats as well and it's THAT good. From time to time during my entire adult life I have turned to this book for refreshing all that I have learned and get new inspiration to go on the next project, or face a new challenge. No matter how many times I lost this book I always got a new one because no-one can be more helpful when it comes to memory than Ralph Castle. I have always had trouble with teachers who don't explain themselves very well. Such was not the case with these two. My memory has greatly improved just because I've tried their methods. I also learned that I do some of these things already, so I now have the tools to "remodel" my memory techniques. A free tip: actually try the examples - I still remember a lot of those too! The strategies suggested in this book do work and come in handy, both at home and at work. They are especially helpful for children to help them improve their learning, resulting in better grades.